You are suffering from a bike related injury or pain that you want fixed. You want to make sure you are maximizing speed and power. You feel fine on the bike, but want the confidence in knowing you're in your ideal riding position. Well, the good news is we've got you covered and you're not alone. Fact: The single biggest improvement you can make on speed, performance, and comfort is NOT your tires, your wheels, your helmet, or your kit. You can have the fastest bike in the world, but if you're sitting up like a sail, you're LOSING a whole lot of potential speed. 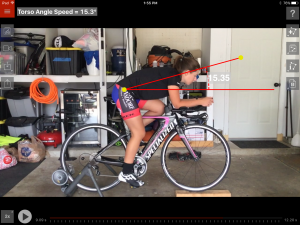 On the other side of the coin, if you're so slammed by trying to be "aero,"
you may be LOSING a lot of power, oxygen, and again, potential speed. Or you might be too far forward, or too far backward. Each impacts how your body fires those awesome muscles of yours. That's a huge indication that you need some tweaks to that steed of yours. 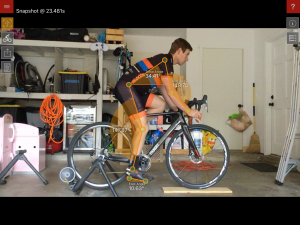 Saying to yourself, "I'm new to this and not fast enough for a bike fit." Nonsense! Everyone deserves to be comfortable on their bike. And you deserve to maximize that power your working to improve. Start off with a PROPER fit and make sure you're getting everything out of your body that you can. Typically you'll be in and out in about 90 minutes for a road bike, or 90-120 minutes for a triathlon or time trial bike. Unless of course you're in need of a bunch of adjustments. Or, your bike contains rusted out bolts that make adjustments tricky. Or you really like to chat. Want to know what's even better? *Pending you've made no adjustments or changes to the equipment on the bike. This would require a new fitting session. Multiple Bikes - Full price for the first bike, $100 per hour (billed in 20 min increments) for each additional bike.